Last week a member of the GSPCA team joined the Dementia Friendly Guernsey Champions training session took place on Wednesday 6th March at CAMHS in the PEH. 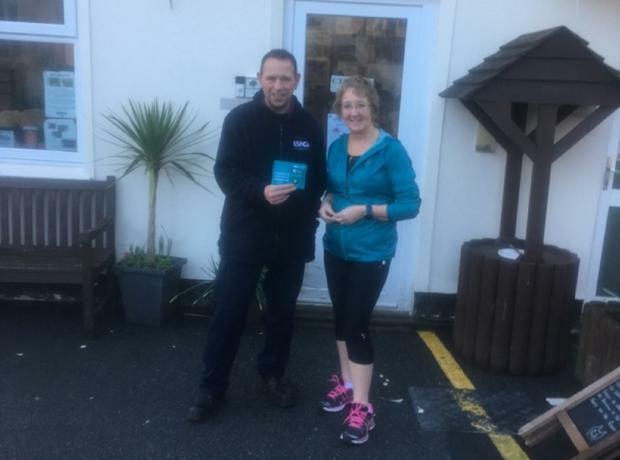 The trainers from Dementia Friendly Guernsey were Julie Bulpitt and Mark Guilbert and the GSPCA Training and Community Officer Tim Pellett went along to take part. Dementia Friendly Guernsey wants to encourage as many people as possible to take a local dementia awareness course and the GSPCA team attended last week had two sessions of training thanks to Julie Bulpitt from Dementia Friendly Guernsey. Dementia Friendly Guernsey wants to encourage as many people as possible to take a local dementia awareness course and the GSPCA have had two sessions over the last month. Businesses and individuals can sign up to the 1-2 hour course to help identify and support people living with dementia. At the end of the course you are given a green badge to wear, a window sticker to display in your place of work and posters and leaflets to spread the word.